One thing we know: If you didn’t grow up in the Champaign-Urbana area, you might not be aware of the wonderful small towns that surround our community. And you probably don’t venture there very often, with perhaps the exception of going to Monticello for Allerton Park or to Arthur to visit Amish Country. We are the type of folks who love to explore our community, and that includes the surrounding areas. And many of these great small towns have unique assets — stores, restaurants and features that make them worth a visit. In this article, we have listed some of our favorite eateries in small towns surrounding Champaign-Urbana. Some we go back to again and again. Some of these you may know well; some might be new to you. The requirement for this list is that they had to be locally owned and in a smaller town within easy driving distance of Champaign-Urbana. The Brown Bag, Monticello. YUM. YUM. YUM! I wish I could get to the Brown Bag more often. Located right off the main square in downtown Monticello. Good, homemade, fresh food at a decent price — and healthy options as well as gluten-free breads. The soup is wonderful. Very kid friendly — although it’s also a great place to lunch with the girlfriends. Or go to do a little work — there’s free wifi with purchase. If you’re headed to Allerton Park and didn’t have time to pack a picnic, stop here. One last tip: don’t miss the pie. See our Mom review of the Brown Bag. 212 W. Washington Ave., Monticello. Flesor’s Candy Kitchen, Tuscola. Another chambanamoms favorite, you can’t go wrong with a trip to Flesor’s, whether you want a full meal or a sweet treat. Enjoy hand-dipped chocolate (turtles anyone?) as well as fudge from the candy counter. Or get some delicious ice cream, malts, milkshakes or other yumminess from the old-time soda fountain. Extremely kid friendly, although it is difficult to manage all the asks for delicious treats. Serves breakfast and lunch, open 6 a.m. until 5 p.m. daily. Sidney Dairy Barn, Sidney. 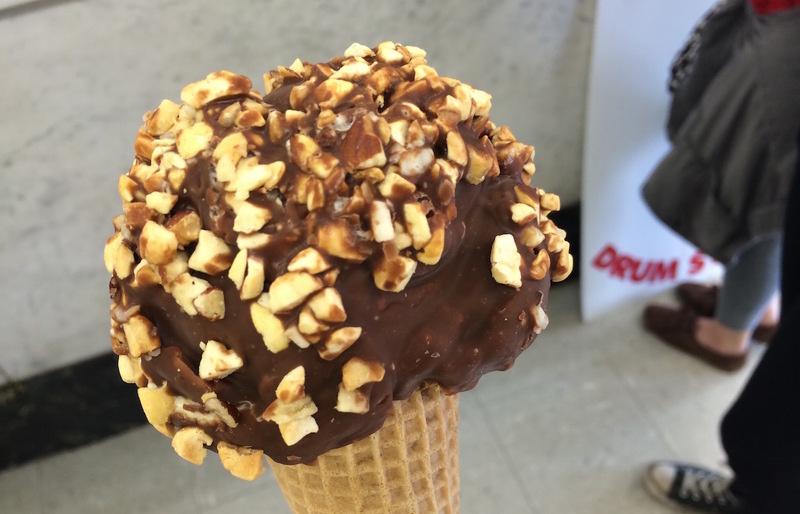 A person who happens to run this website is addicted to Sidney Dairy Barn. Not that that’s a reason for you to go. You can read the review yourself. Open April to November. Main Street Belly Deli, Homer. Home to the Original Homer Soda Company, the Belly Deli is our go-to stop after exploring Homer Lake. Their soups, sandwiches, and salads are DELICIOUS, and the staff is extremely friendly and welcoming. Extra fun bonus the kids love: The vintage video game machines and the rows and rows of glass bottled sodas you can’t find any where else in Central Illinois. Want to check out Belly Deli but not in the mood for lunch? They have amazing ice cream concoctions including creative soda floats and hard ice cream by the scoop. They also serve coffee, lattes and some of the best iced tea around. Once you try Main Street Belly Deli, you will be hooked. Beef House, Covington, Ind. There is nothing pretentious about the Beef House, except for maybe the prime cuts of beef they serve. 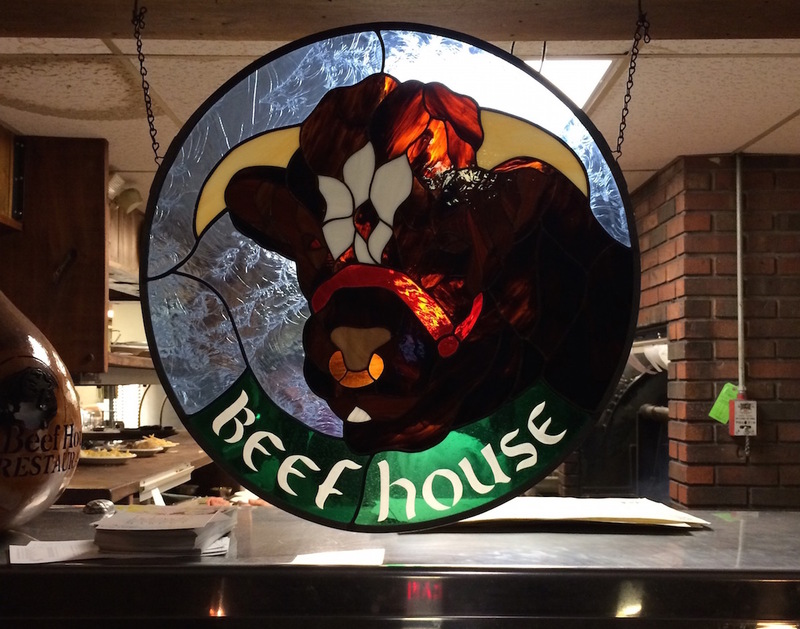 Yes, it’s totally worth driving 45 minutes (just over the state line) to the Beef House. It’s good food in a homey, casual atmosphere; and if you’ve got a big appetite — this is the place for you. GO HUNGRY. It’s a family favorite too — the kids love the salad bar, among other things. If nothing else, they will eat the rolls. What could be better? Ted’s Garage, Clinton. We reviewed Ted’s Garage years ago … and it went up in flames about 18 months later. (Not saying the two things are related, of course!). Lucky for us, this car-themed locally owned institution re-opened and is better than ever. Casual, family-friendly joint that will please all ages with a wide menu. The nicest staff around, and easy on the pocket book, even if it’s 45 minutes away. You can find them on Facebook. Jo’s Country Kitchen, Chesterville. You might be more familiar with this restaurant by its former name, Korner Cafe. New owners took over the breakfast-lunch cafe in March 2017 but the homemade food remains largely the same. Visit for lunch to enjoy the buffet, featuring delicious broasted chicken and homemade rolls. 1) C and C Kitchen in Rantoul. Based inside the Java Connection coffee house, this place has unique dishes — alligator sausage, anyone? — and has received rave reviews, especially for its Sunday brunch. 2) The Humble Hog, Paxton. The reviews of this place are Uh-Maze-Balls. I know a certain Champaign-Urbana restaurant whose name happens to rhyme with this place gets all the attention for the area’s best BBQ, but I’ve been told the Humble Hog is a worthy challenger. 3) Geschenk Boutique and Coffee and Tea Haus, St. Joseph. Hot chocolate, coffee, and tea are the specialties here, but it sounds like the lunch items are worthy of a visit as well. Hard not to love a local business that posts lost sunglasses to its Facebook page. Did we miss one of your favorites? Add it in the comments.